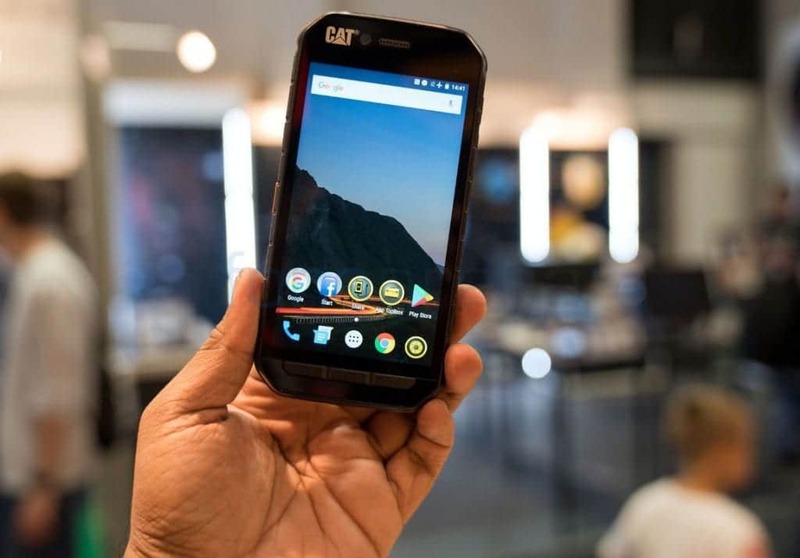 The rugged CAT S41 smartphone was one of the devices launched by CAT phones at the IFA. The smartphone comes as a successor to the CAT S40 and will sport a 5-inch scratch-resistant screen combined with its toughness. The device also packs a very massive battery for utmost power. Here is a detailed description of the CAT S41. The rugged CAT S41 comes with a 5-inch FHD capacitative touchscreen with 1980 by 1080 pixels of display resolution. Its screen is duly protected by Corning Gorilla Glass 5 and like the CAT S31 it also supports auto wet finger and glove use. The Super Bright display means that it allows readability while under direct sunlight. The design is really what the CAT S41 is all about. Rugged, sturdy and enduring in almost all conditions, the smartphone is really built for use anywhere even underwater. Yes!! I said underwater because it is can last for up to an hour underwater up 2metres, it can also survive drops as high as 1.8m(6ft) without damages, dust-proof, shock-proof, vibration and pressure resistant. The S41 was built to survive. The S41 is powered by an Octa-Core Helio P20 MT6757 processor running at a clockspeed of 2.3GHz and a Mali T880 GPU to handle its graphics. The smartphone carries 3GB of RAM with a 32GB internal memory which is expandable up to 2TB using a microSD. The S41 packs a mammoth 5000mAh battery with fast charging support. The smartphone also comes with a Battery share functionality i.e you can charge other devices from your 5000mAh battery and as well set a reserve battery level. Connectivity options include; WiFi 802.11 b/g/n, Bluetooth v4.1, OTG support, GPS, NFC. The device runs on the Android 7.1.2 Nougat OS out of the box. It also partly relies on its front and side buttons for input carrying the Home, Back and Recent app buttons on the front and the Power, Volume and programmable keys on the side. The CAT S41 is available for order already although delivery would commence 11th September. The smartphone comes at a cost of 449 Euros(US$ 534 / Rs. 34270).